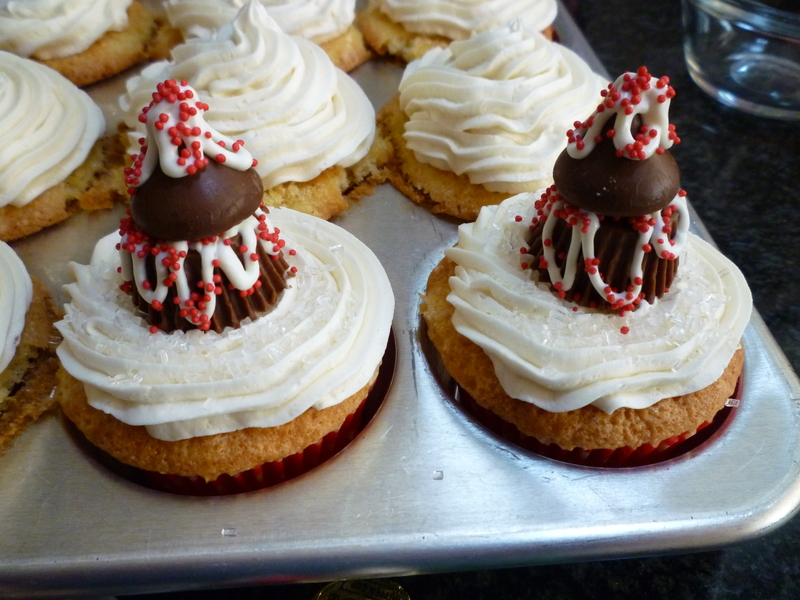 I immediately wanted to put them on cupcakes … but was sure that they would fall over. For complete directions visit the original post … just make the top two layers using the Hershey’s Kiss and Reese’s Miniature Peanut Butter Cup. 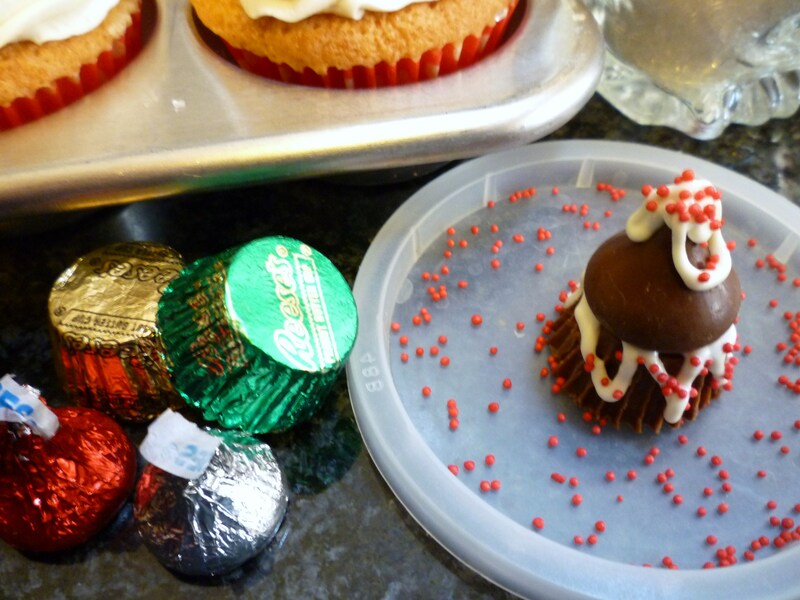 Quick and easy cupcakes for such a busy time of year! They’re cuties, Brenda, but your “full size” trees are still my favorites. I could see them topping a holiday cake. 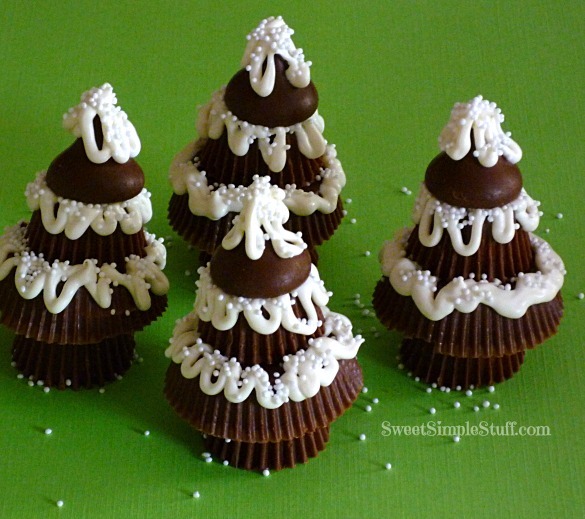 I like the full trees as well but how clever of you to make smaller ones for your cupcakes. 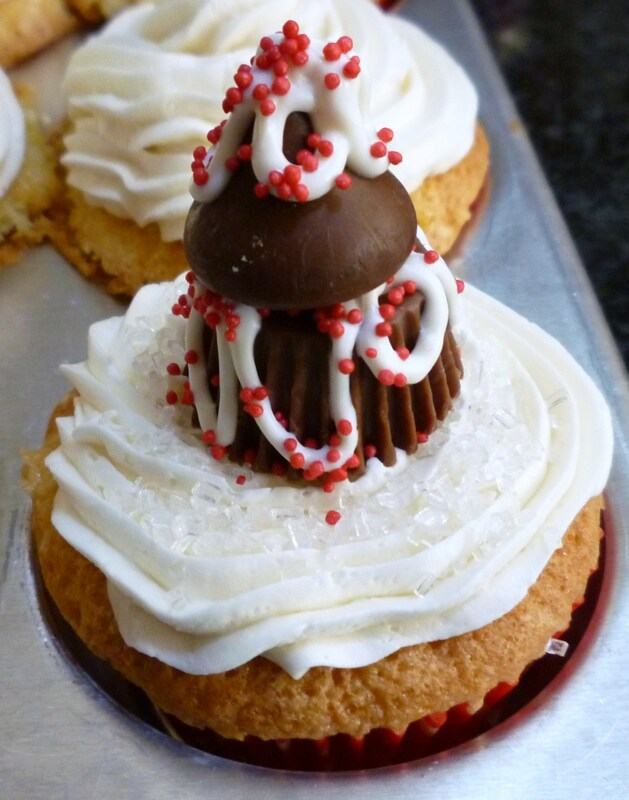 Make them smaller yet by using the mini’s peanut butter cups and chocolate chip on top. Nothing is topple proof around here!